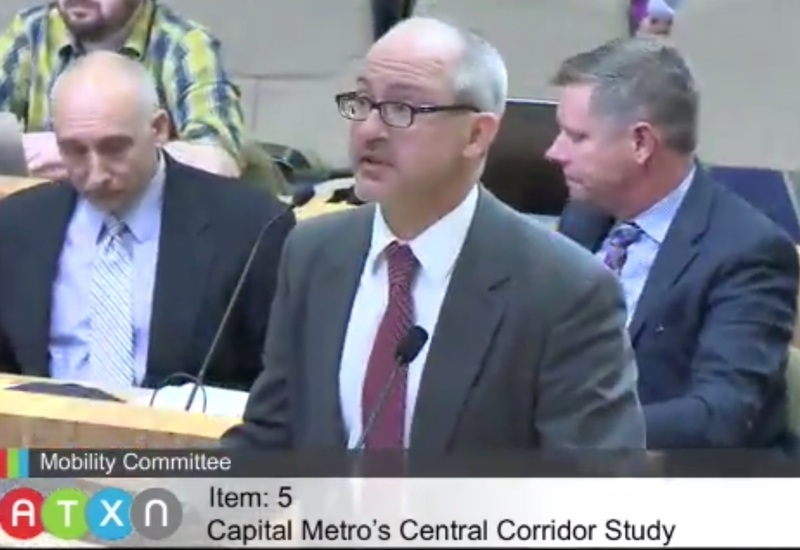 Austin’s transportation planning could be seen as “a tale of two systems“. On one hand, here in the 21st century — amidst crises over the climbing cost of energy, increasing road congestion by private vehicles, and global climate change impacted by greenhouse gas emissions — local planners and leaders are expanding highways like it’s 1955. 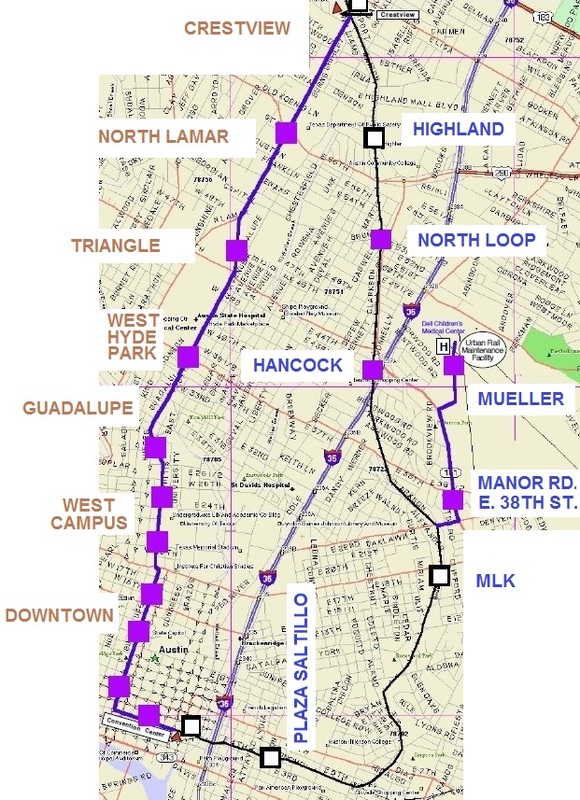 In all directions, nowadays it’s mostly tollways, with new ones under development or planned in southwestern Travis County; across the river, double-decked over Loop 1 (MoPac); from East Austin to ABIA; and through the heart of the city with new toll lanes on I-35. Austinites who’re already paying taxes to fund roads now get to pay out-of-pocket tolls to use the new ones — a kind of Double Whammy. So what about public transportation? 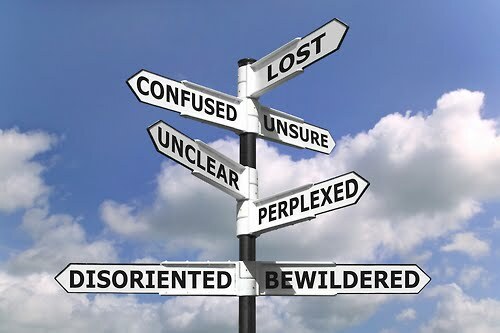 Basically, since last year’s “Rail to Nowhere” Highland-Riverside proposal crashed and burned, public transportation planning has been going in circles — a circular maze, to be exact. In other words, roads burgeon while transit diddles. 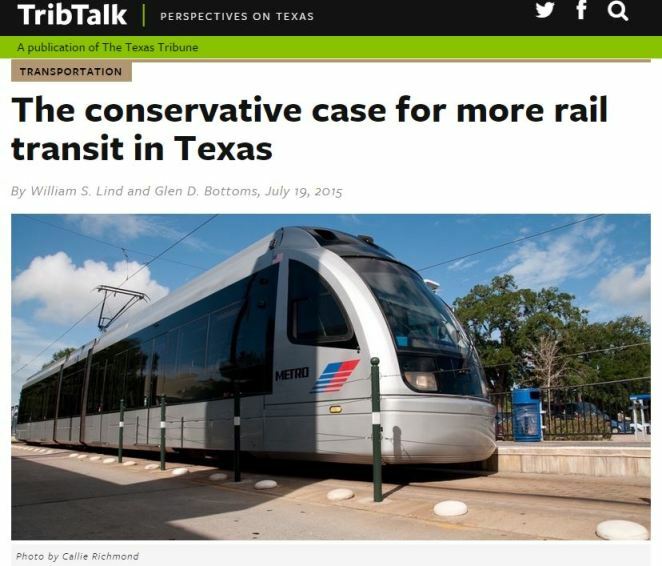 …the fundamental case for LRT in Austin has been grounded in truth — the higher capacity, greater ridership attraction, cost-effectiveness, environmental benefits, unsurpassed magnetism to transit-oriented development and economic development, and other advantages of light rail are indeed essential for the future of this community. 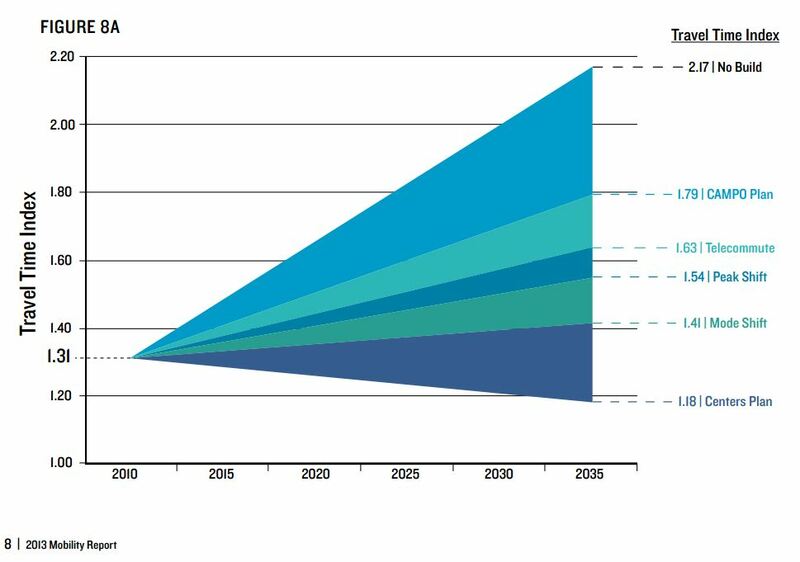 Mobility cannot be sustained of a continuing expansion of rivers of highways and tollways and a steadily rising flood of personal motor vehicles. 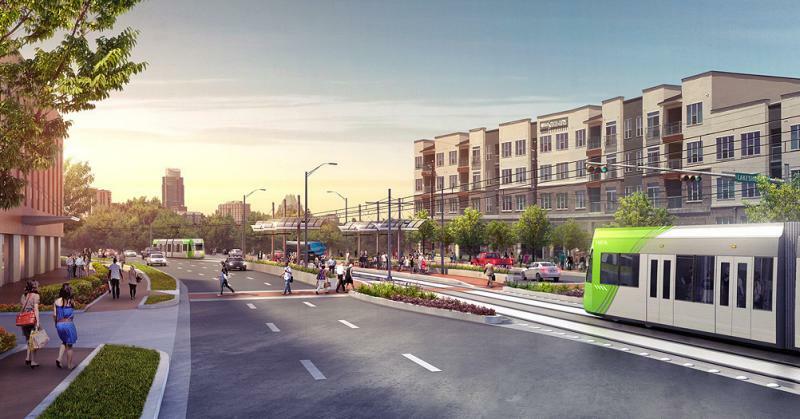 Urban rail continues to be key to providing truly attractive public transit alternative, and shifting at least significant segments of the Austin metro to a sustainable alternative mobility lifestyle. 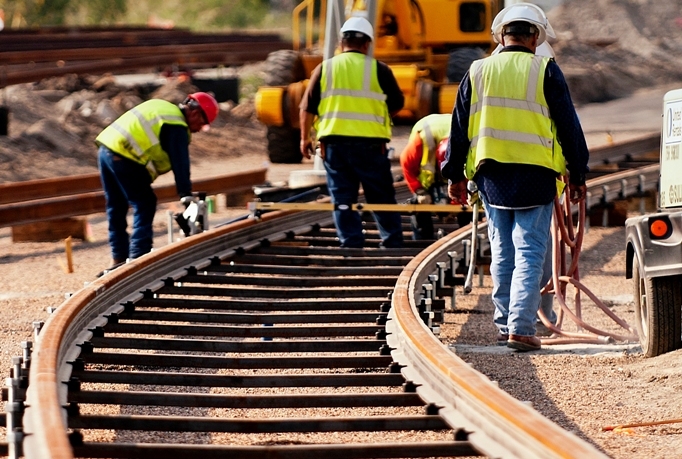 • Poll: Austinites want surface rail! 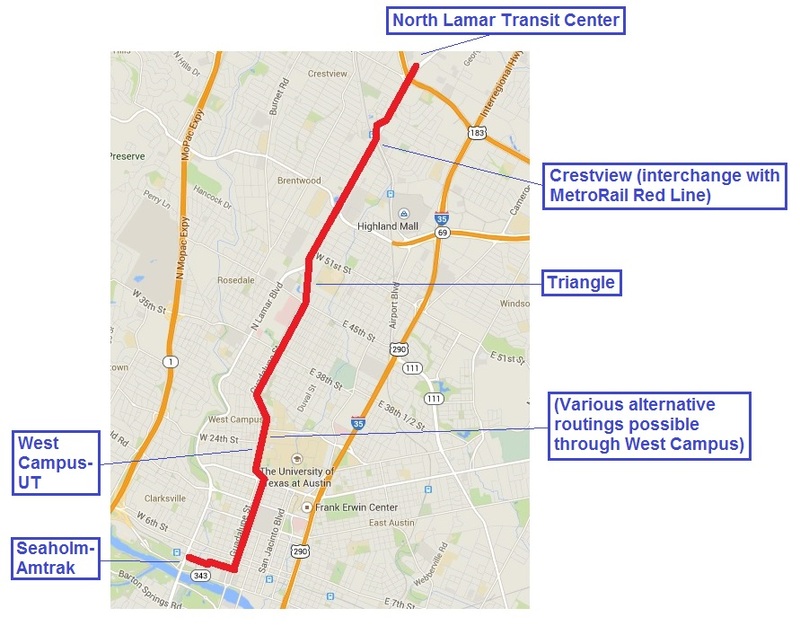 • What and where — Our article «A “Plan B” proposal for a Guadalupe-Lamar alternative urban rail starter line» proposed a 6.8-mile LRT starter line from the North Austin Transit Center down North Lamar and then Guadalupe and Lavaca to downtown, with a westward spur to the Seaholm-Amtrak Station area. Total cost was estimated at less than $600 million (2014 dollars), and daily ridership was estimated at 30,000 to 40,000. 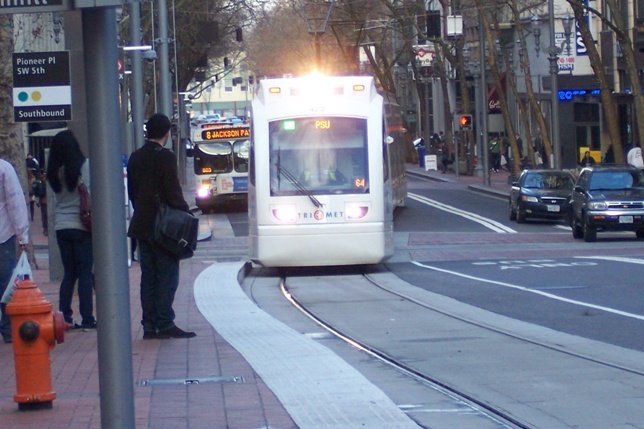 • How — Our article «San Francisco’s N-Judah Muni Metro line shows design option for light rail in Austin’s Guadalupe-Lamar corridor» explains how two dedicated LRT tracks could be installed in the Guadalupe-Lamar corridor in a design that maintains four traffic lanes (two per direction) and facilities for pedestrians and cyclists. 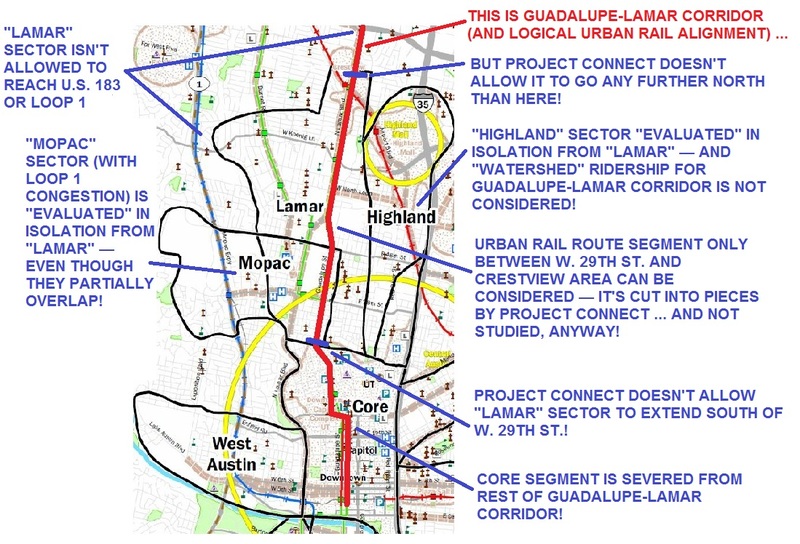 • How soon — Our article «How soon to get Austin’s urban rail on track after Nov. 4th?» explains policy steps that the new City Council could implement to re-focus planning on a viable Guadalupe-Lamar LRT starter line and a local funding mechanism. 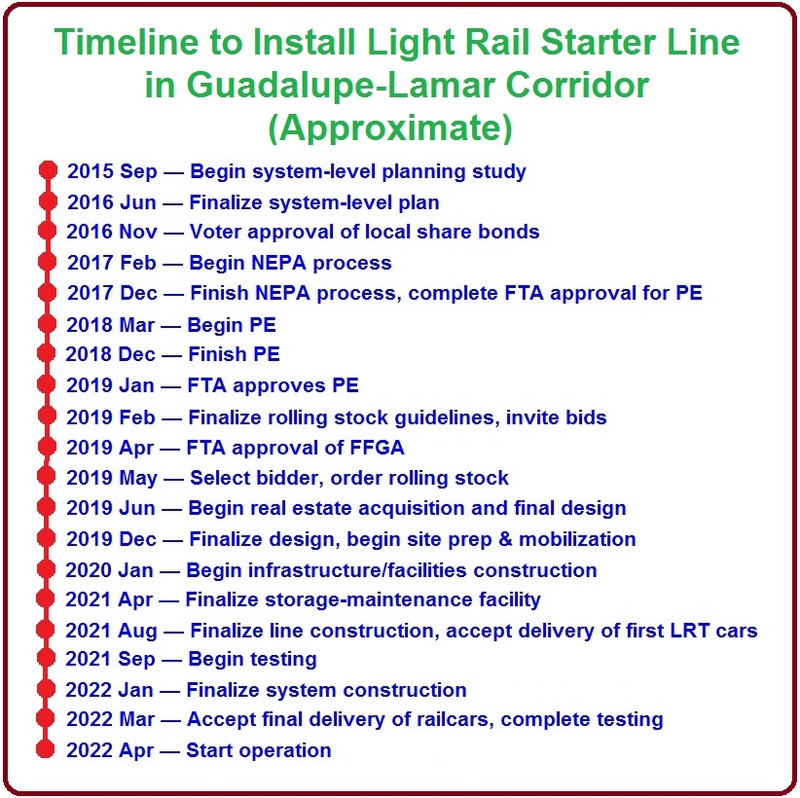 Our subsequent, more detailed article «Possible timeline for installing light rail transit in Guadalupe-Lamar corridor» lays out a plausible itemized timeline that brings an LRT plan for Guadalupe-Lamar from the start of system-level planning to opening of operations in less than seven years. 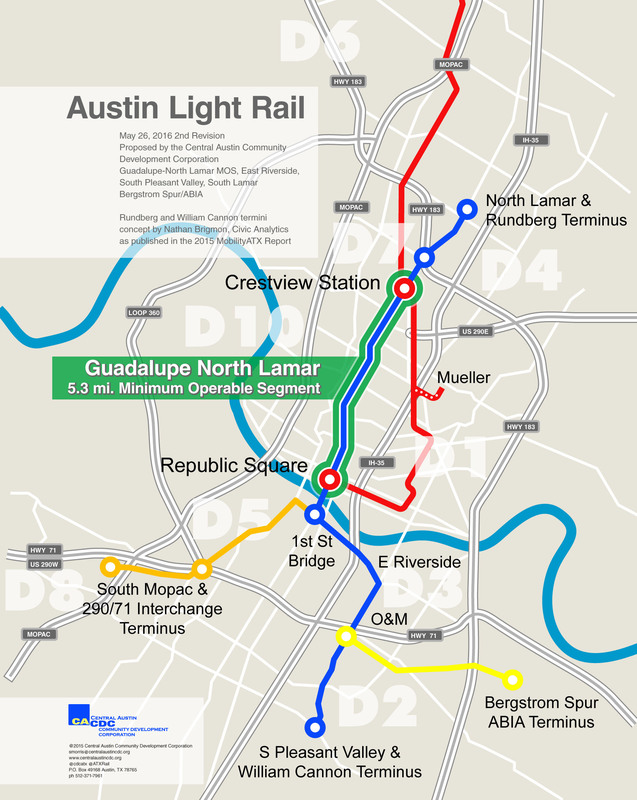 Until this city has a signature rail system, beginning with a starter line in the right corridor to serve as a spine and anchor for a citywide and regionwide network, Austinites will continue to face one highway ripoff after another — burdened with steadily rising costs for more roads and shackled to dependency on increasingly expensive private vehicles in worsening traffic congestion.